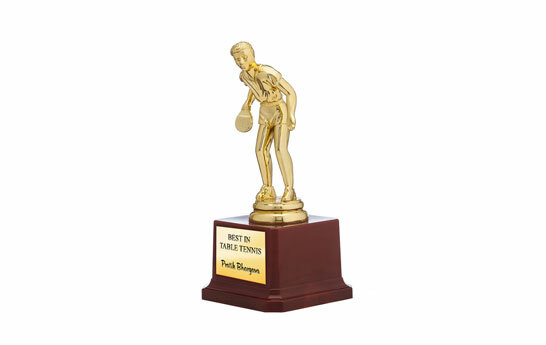 Leave a long-established memory by presenting our trophy to the best table tennis player of the tournament. Make him feel extra special and valued with an individual achievement award. Our trophy is customised with the player's name and your brand name. Personalisation: Only Black Printing, Individual pieces can be personalised. Please download the template files from the top of the page, design your artworks and upload them to order.